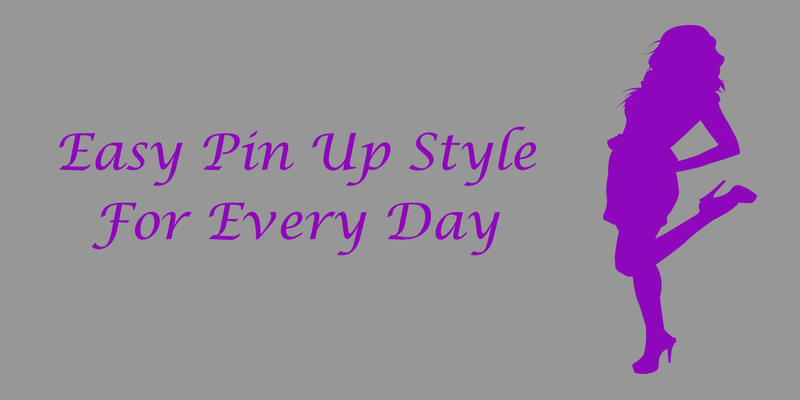 Here are some fun and easy ways to add Pin Up style to your everyday routine. Hair: Curls and fake curls, plus a head scarf! This is my favourite video tutorial with multiple easy-peasy ideas! Makeup: Classic cat eyeliner and red lipstick! Skip the false eyelashes and this is a pretty quick look. Its a full pin up look, with drama. Watch this one for fun! Be prepared for giggles. It’s a fast, simple, clean pin up look. Hit up your grandma’s closet! Ok, so this may not be possible for everyone. But a good second to your grandma’s closet is vintage boutiques and second hand clothing and thrift stores. Thigh length dresses and skirts, polk-dot everything, wide belts, Navy and blue, black and white, sailor buttons, high waisted pants, skirts and shorts, feminine scarfs and bandanas, petite girly sweaters, vintage jackets and furs, short gloves and shoes. Stockings are a must. Layers are a good idea, but not always possible in the hot summer months. I can’t write a blog post about pin up style and not include a section on attitude. A huge part of pin up style has nothing to do with hair, make up or clothing and everything to do with your attitude. Pin up style was at the hight of the second world war and on into the 50’s and early 60’s. While men were away fighting, woman moved from working in the home to working in factories and on farms, to running a household and holding down a job. Pin Up woman showed up and got the job done, but they still looked good while doing it! Be sassy, be flirty, be strong, be feminine and be bold. Love your body. That, my gorgeous friend is Pin Up attitude. You can check out my August Pin Up Pinterest board here, for more Pin Up ideas. Now that you’ve been rocking that pin up style on the daily, are you ready for a full out pin up beauty session? Are you ready to get together and create some amazing images to memorialize your personal pin up style? Do you need a little more information or perhaps, help coming up with a creative inspiration that truly brings out your inner pin up goddess, please contact me. I’d love to chat with you!